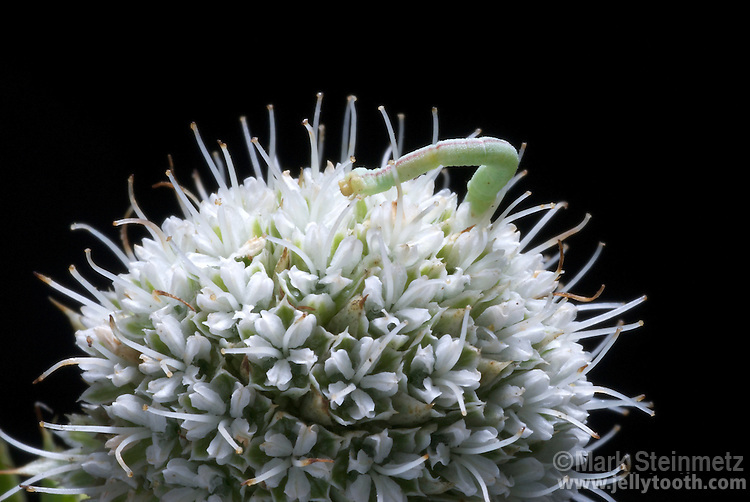 Inchworm on sphere-like flowering head of Rattlesnake Master (Chamaecrista fasciculata). Larvae of Geometer Moths (family Geometridae) lack middle prolegs, hence their primary method of locomotion is looping or "inching" forward. Mag 1x at 35mm.